Summer isn’t even over yet, but a number of stores have already started promoting their back to school sales. Although there are some good deals in these sales, frequently the offers don’t live up to the hype. It certainly pays to investigate your options if you want to save more money. Don’t fall for “the more you spend, the more you save!” pitches. Stores might entice you with three-for-two offers, or stylish new designs on long lasting items. Try to rise above all the offers being presented to you and think carefully. Don’t you already have a ruler that performs its function perfectly well? And how about those exercise books from the year before? One of the best ways to make sure you only buy what you need during back to school sales is to make a shopping list before you go out, and then stick to it! When stores reduce the prices for designer items, it can be very tempting to buy them thinking you’re getting a great deal. But the chances are that, even when on sale, designer back to school items are still going to cost you a lot more than store-brand equivalents. If you really need to save money you don’t need designer. You can still find stylish clothes and accessories without the high price tag. Many stores will select a few specific items to mark down heavily and put these discounts on back to school fliers. They usually don’t make a profit on these hugely discounted items: they’re counting on the fact that you’ll end up buying a lot more when you’re lured into the store to shop. By all means, watch for these sales fliers, take advantage of the special offers, but leave the rest of the back to school sales shopping for stores that have the best prices. Today, some of the best back to school sales can be found on the internet. 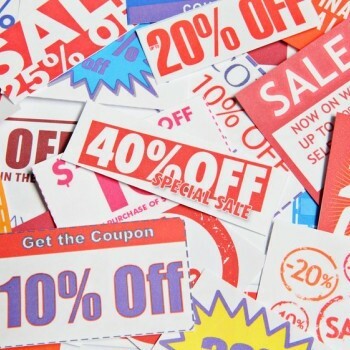 Before you buy anything, do a search to see if there are any online coupon codes you can take advantage of. You’ll also find that certain items, such as books, are generally cheaper online. If you really want to save money then you can use auction websites to buy items second hand. If your state offers tax breaks around back to school time, then wait until this time to buy all of your supplies. The drawback of doing this is that shops are going to be busier at this time, but it’s well worth it for saving money.